We are pleased to announce that Corvus CRO has been recognized as a Convert Experiences certified agency partner. Convert Experiences is an easy to use, feature rich, privacy compliant split testing web software. Convert Experiences is one of the leading budget-friendly options in the split test software space. Are you interested in split testing but don’t want to spend thousands of dollars on software? Convert has the right mix of features and capabilities to enable execution of a testing program at an affordable price. 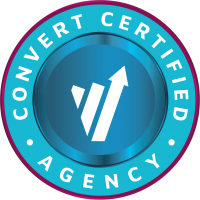 Convert starts at only $449/month (with annual billing), versus enterprise-level solutions like Optimizely or Adobe Target that can run thousands of dollars a month. Convert’s support team is top-notch, and really what sets them apart. They are available via phone or chat. Every time we have spoken with a Convert support representative they have been responsive, knowledgeable, technically proficient, and immensely helpful. If you are interested in split testing on a budget, then Convert is the tool for you. We can help you get set up and running right away. Already using Convert and need some help? We’ll work with you to get the most out of it. Schedule your free consultation today.